Home is the best school for teaching moral behaviors, but in today’s sometimes racy, raunchy world we need to be far more intentional in our efforts to build our children’s character. 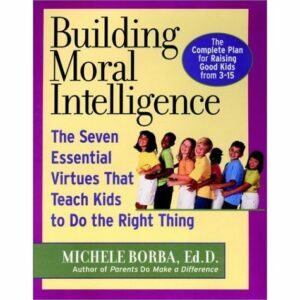 Here are 10 parenting tips from my book, Building Moral Intelligence: The Seven Essential Virtues that Teach Kids to Do the Right Thing to help us raise children who do know right from wrong, do internalize good values and do act right without adult guidance. I’ve also included ten parenting questions to help you gauge how often you are applying proven practices that increase your children’s moral development. “How important is it for you to raise a moral child?” It’s a crucial question to ask because research finds that parents who feel strongly that their kids turn out as good people usually succeed. And it’s all because they committed themselves to that effort. If you really want to raise a moral child, then make a personal commitment to raising one. PARENTING QN #1: On a scale of 1 to 10, how important is it that your child become a person of strong, moral character? Before you can raise a moral child, you must also be clear about what believe in. Take time to think through your values, and then share them regularly by explaining why you feel the way you do. Over 400 virtues have been identified. Choose a few that matter most to you and your parenting partner. PARENTING QN #2: Pretend it’s 30 years from now and your children are grown. You’re now looking at your adult children. Which character traits do you hope they internalized from their childhoods? 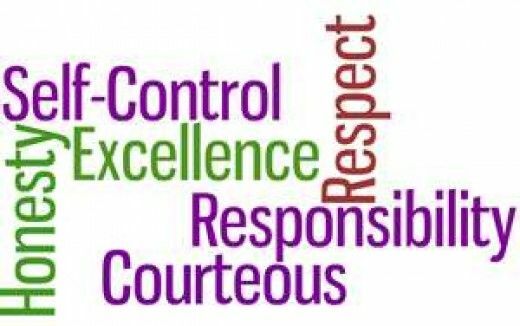 Here are a few crucial character traits from Building Moral Intelligence that help children develop moral intelligence. Reflect on them. Which traits do you think your children will need to become good people? Parents are their children’s first and most powerful moral teachers, so make sure the moral behaviors your kids are picking up from you are ones that you want them to copy. 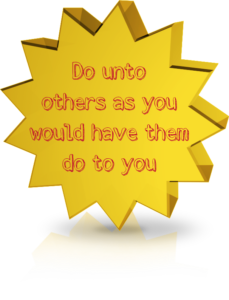 Try to make your life a living example of good moral behavior for your child to see. PARENTING QN #3: Each day ask yourself: “If my child had only my behavior to watch, what example would he catch?” The answer is often quite telling. The best teaching moments aren’t ones that are planned—they happen unexpectedly. Look for moral issues to talk about as they materialize. Take advantage of those opportunities because they help your children develop solid moral beliefs that will help guide their behavior the rest of their lives. After all, your children will be hearing endless messages that counter your beliefs, so it’s essential that they hear about your moral standards. TV shows, movies, newspapers, and literature are filled with moral issues as well as daily moments. You can use them to discuss your beliefs with your children but only if you recognize your values. PARENTING QN #4: What are teachable moments I could use today to help my children understand and adopt strong moral beliefs? 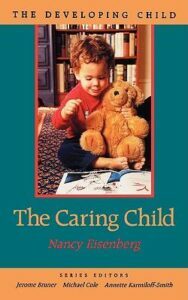 Nancy Eisenberg, author of The Caring Child, says that one of the best moral-building practices is to point out the impact of the child’s behavior on the other person (“See, you made her cry”) or highlight the victim’s feelings (“Now he feels bad”). Doing so enhances a child’s moral growth as well as his prosocial behaviors and can be effective even with very young children. Effective discipline ensures that the child not only recognizes why her behavior was wrong but also knows what to do to make it right the next time. Using the right kind of questions help kids expand their ability to take another person’s perspective and understand the consequences of their behavior. So help each child reflect: “Was that the right thing to do? What should I do next time?” That way your children learn from their mistakes and grow morally. PARENTING QN #5: Remember our ultimate goal is to wean our children from our guidance so they act right on their own. Are your typical discipline practices ones that help your children learn more their mistakes so they grow morally? Studies are clear: Kids who act morally have parents who expect them to do so. It sets a standard for your children conduct and also lets them know in no uncertain terms what you value. So post your moral standards, discuss them, and then consistently reinforce them until they become your children’s rules, too. Hint: If your kids don’t immediately recite those values it may mean that you’re not modeling, discussing or reinforcing them nearly enough. Tune up the values that matter most to you! Researchers tell us one of the best moral-building practices is to point out the impact of the child’s behavior on the other person. Steadily using the question in the right context can enhance a child’s moral growth: (“See, you made her cry”) or highlight the victim’s feeling (“Now he feels bad”). The trick is to help to help your child imagine what it would be like to be in the victim’s place, so she will be more sensitive to how her behavior impacts others. PARENTING QN #7. How are you helping your child reflect on his or her behavior on others? One of the simplest ways to help kids learn new behaviors is to reinforce them as they happen–in context! So purposely catch your children acting morally and acknowledge their good behavior by describing what they did right and why you appreciate it. PARENTING QN #8. When is the last time you praised each of your children for demonstrating good character? Are you striking a balance so that your children recognize that you want them to succeed academically but also to become good human beings? Kids don’t learn how to be good from reading about character in textbooks, but from witnessing or doing good deeds. Encourage your children to lend a hand to make a difference in their world. And help them recognize the positive effect their gesture had on the recipients. The real goal is for kids to become less and less dependent on adult guidance by incorporating moral principles into their daily lives and making them their own. That can happen only if parents emphasize the importance of their chosen virtues over and over and their kids repeatedly practice those moral behaviors with our guidance. PARENTING QN #9. 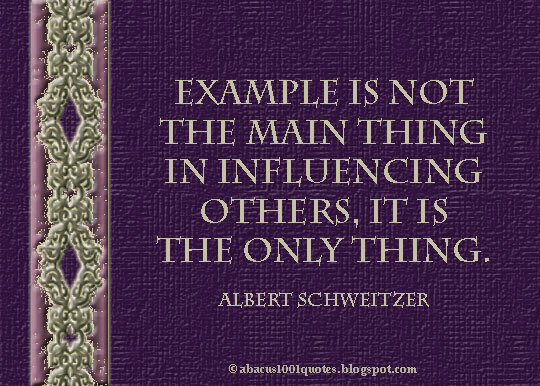 What simple way today can you help your children understand the importance of character? What types of service or charitable opportunities can you provide for your children? PARENTING QN #10. 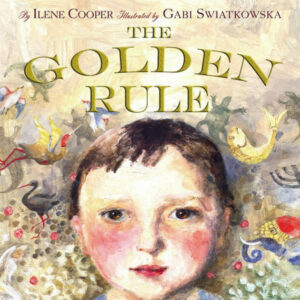 How can you make the Golden Rule or other character-building mantra become your family’s over-arching moral principle that your children adopt? What one strategy will you use to help your children become good human beings? I am an educational psychologist, parenting expert, TODAY show contributor and author of 24 books including The Big Book of Parenting Solutions: 101 Answers to Your Everyday Challenges and Wildest Worries. You can also refer to my blog, Dr. Borba’s Reality Check for ongoing parenting solutions and late-breaking news and research about child development. 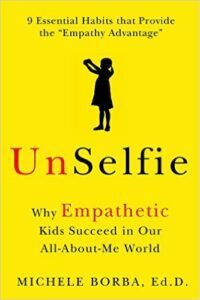 My latest book, UNSELFIE: Why Empathetic Kids Succeed in Our All-About-Me World aims to create a conversation that makes us rethink our view of success as exclusively grades, rank and score and includes traits of humanity! It’s time to include “empathy” in our parenting and teaching if we hope to prepare children to succeed and thrive in our global new world.